Kensington Caviar Topcoat is a quick drying glossy nail polish which is perfect for any at home manicure. It dries within 45 seconds and leaves a high gloss finish which lasts with minimal chipping or flaking off. The finish is really neat and I find it blurs out and smudges or knicks you may have got while waiting for your nails to dry. I experienced minimal chipping after 5 days of using this on top of a regular polish. Despite it's hefty price tag it really does do an amazing job of stopping your nails from chipping and leaves your polish looking super glossy. 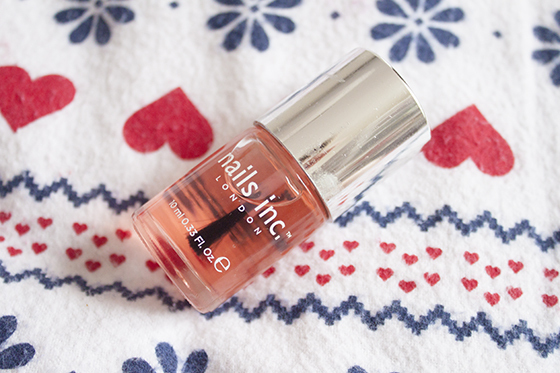 I think the secret to good nails is always a good quality glossy topcoat and this one comes highly recommended from me!